Our funeral and cemetery memorial products reflect the quality and tradition of a variety of materials that may be personalized to offer a lasting tribute to your loved one. 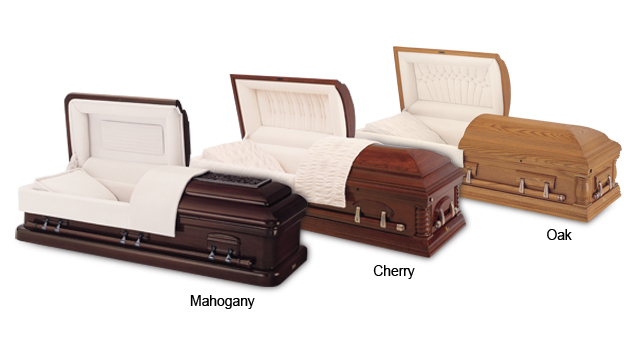 Discover your options by viewing our affordably-priced funeral products. Our selection room provides samples of products, lining and other materials for all types of funeral arrangements. Funeral and cemetery products may be purchased in two ways, pre-need or immediate need. Monuments and grave stones are a lasting tribute to a loved one’s life. They may be personalized, simple or elaborate and have much more meaning than just being a simple way of recognizing the name and the dates of birth and death of a person. They’re a permanent indication for future generations to be able to search their family history and to commemorate those family members who lived before them. The materials used for monuments and grave stones are: granite, marble, bronze and rock. Whether you choose a simple grave stone or a large elaborate statue, it’s best to take your time in selecting one that fits your needs. Cemeteries have rules and regulations regarding the type, color and size of the memorials they permit. We can help you make an informed decision. Our funeral director can suggest many ways of personalizing a monument or a grave stone to make it a truly lasting tribute. Whether final arrangements are for an earth burial, cremation or mausoleum, our funeral director will help you select the appropriate casket for your needs. The selection of a casket is an expression of your feelings and a reflection of the unique personality of your loved one. You will be able to choose from a variety of styles, each one elegantly finished and constructed with quality materials. For earth or mausoleum burials there are a variety of styles, finishes and materials. Metal caskets constructed from bronze, copper, steel and stainless steel are among the most durable. If you prefer the warmth and beauty of wood, you may choose fine hardwood or traditional wood casket. They may be sealed or unsealed. For those who choose a traditional funeral ending with cremation, there are a variety of styles to choose from. Wood cremation caskets have all the warmth and beauty of traditional caskets. 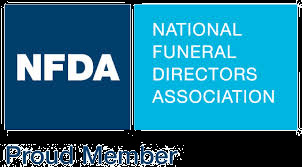 There are alternative caskets which are suitable when no viewing or service is to be held. 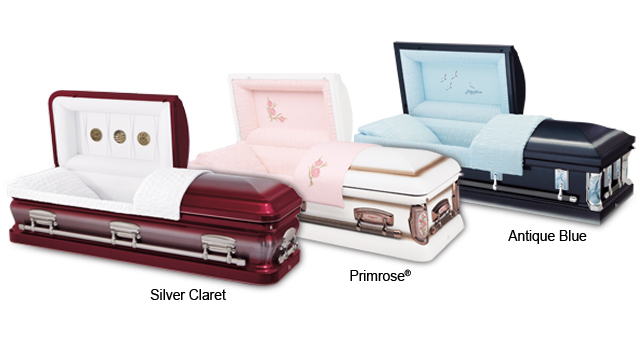 You may also choose a rental casket for use during the visitation and funeral service, preceding cremation. Burial and urn vaults are made in either steel or concrete and come in a variety of colors and styles. Most cemeteries do require an outside container to help maintain the grounds well cured, although it is not required by law. Vaults also protect the casket or the urn from disruption due to disinterment and for other reasons. Disinterment takes place for different reasons and probably more often than we think. We are a mobile society and many families who have moved to another area wish to have their loved ones near. Burial vaults are for an earth burial. Vaults shelter the casketed remains of your loved one. They protect the casket from ground elements and provide a way to keep the earth from settling after interment. An urn vault shelters the urn in which the remains of your loved one have been placed. An urn vault provides protection from ground elements and keeps the earth from settling after interment, just as burial vaults do. Which urn you choose to hold your loved one’s remains depends on what will be the final disposition of those remains. An urn may be interred in a burial plot, placed in a columbarium or mausoleum, or kept by a family member. You may also choose to scatter the remains in a place that was special to the person who has passed. Memorial or gathering services may be held where an urn could serve as an important focal point during the service. Urns may be personalized and there are various styles and materials to choose from, as well as, different models for different needs that depend on the final disposition. Our funeral director will help you select an urn to fit your needs. By choosing to respect the personal preferences of the person who passed to scatter the remains, you and other family members may desire to hold portions of the cremated remains in a fine piece of jewelry. This is a personal way of treasuring the life of someone special.